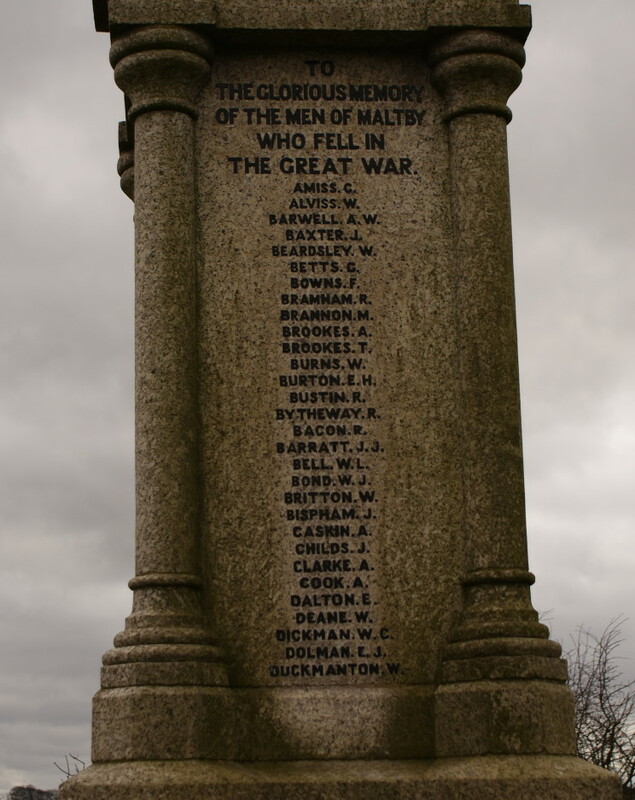 The Great War Memorial located on Blyth Road, Maltby, Rotherham, South Yorkshire, England commemorates the men from the area who were lost in the Great War. On the bottom of the memorial bronze plaques were added listing the names of those who were lost in the Second World War. Close-up of the names on the front of the Great War Memorial. Close-up of the names on the side of the Great War Memorial. Another view of the Great War Memorial.